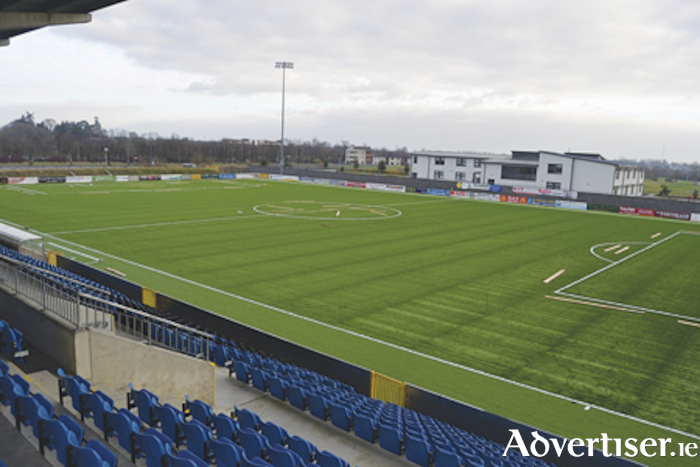 Athlone Town’s new astro turf playing facility, to be used by the first team during their forthcoming SSE Airtricity First Division campaign, will be officially unveiled by FAI CEO John Delaney, as he is joined by local dignitaries, for the cutting of the ribbon ceremony at Lissywollen on Saturday afternoon. Proceedings commence at 12pm with a welcoming reception prior to the FAI Chief performing his official duties at 1pm. Following the formalities, an U17 friendly game between Athlone Town and Cabinteely will grace the playing facility with a 1.30pm kick off. Athlone continued their preparations ahead of the new season’s start with a draw at home to Finn Harps. Goals from Kealan Dillon and Dean Williams secured a 2-2 draw with the Donegal side who will ply their trade in the Premier Division this campaign. Athlone Town kick off their competitive season with a home fixture against Wexford Youths on Friday, February 22.